Film Off safely neutralizes residual alkalinity on floors after stripping or when using ice melting compounds, when mixed 1-2 ounces per gallon of water. 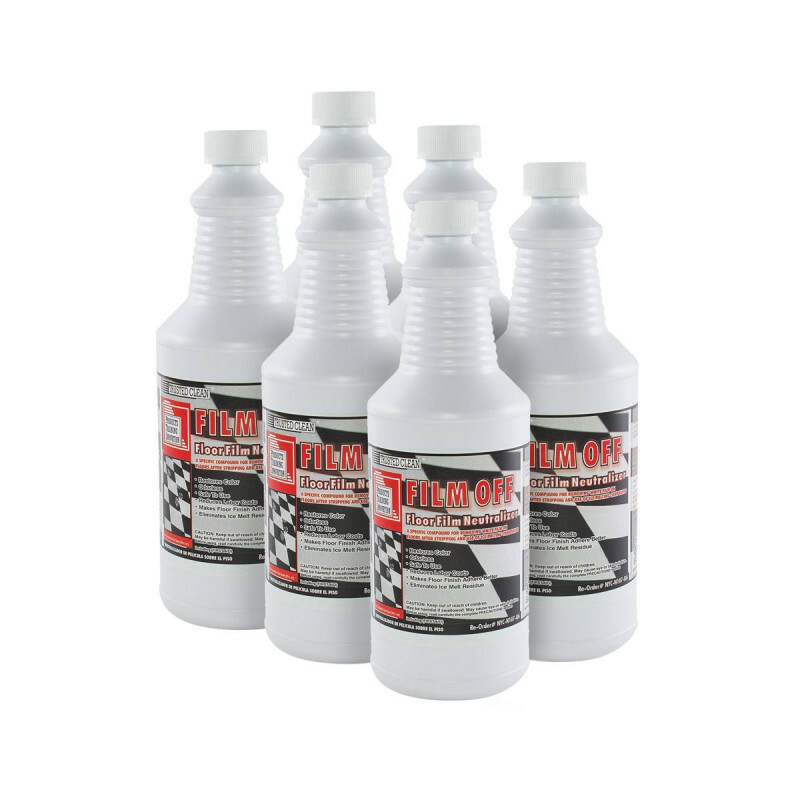 Use as a floor cleaning solution, and eliminate that white alkaline haze left on floors which interferes with the application and natural shine of your floor wax. Use as a damp mop during winter to neutralize ice melting compounds and condition the floor. Extends the life of the finish, improves appearance and extends the time between strippings. Great for use with any of our floor buffers after stripping of floors to rinse, and insure that all the floor wax is removed.